Sita and her ‘bava’ Ramam begin their journey into life way back in ’1994′ (this anthology begins with a story from that date) though Ramam knew his ‘Sita’ and their life ‘RAMANEEYAM‘ began earlier. And our ‘Ramam’ walks us along the life ‘RAMANEEYAM‘ to the sunset of their life. It is our life and ‘Ramam’ takes us ahead into our life even before we begin to actually live that life. For most of us would have had the experience of ‘Sita’ and ‘Ramam’. The characters are not they, they are us – you and I and it is our life. That is life ‘ramaneeyam’ – a way of living. Oh! How I long for that ‘jada’ and the cheera, and the muggu! I envy ‘anaamakudi’ Ramam and his ‘Sita’ and their life ‘ramaneeyam’. Don’t miss it go and find and share their life. But what right do we have to share their life? Let us make our own life a bit more ‘ramaneeyam’ and live life to the hilt. Let’s make our own life ‘ ramaneeyam’. Thank you Ramam and thank you Sita! You can get to have a look into our lives ‘ramaneeyam’ at any book store that stocks Telugu books or may be you could place an order in the nearest book store to you. Vahini Book Trust, 1-9-286/3, Vidyanagar,Hyderabad 500044. 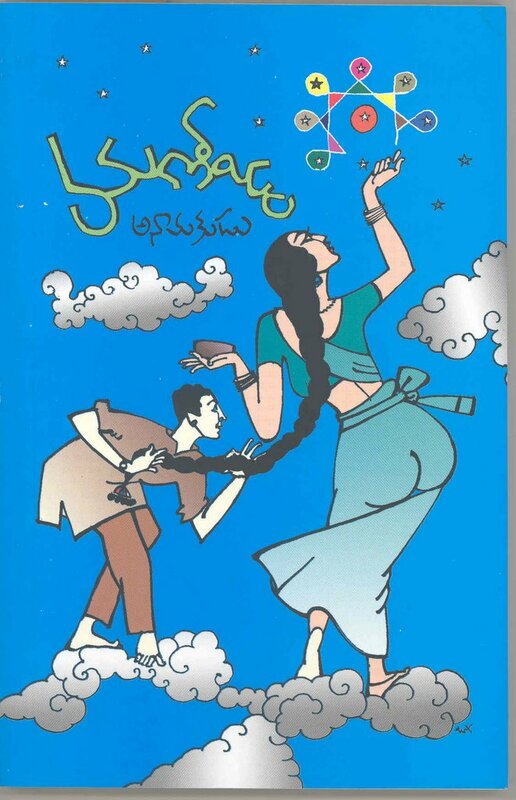 This entry was posted in Telugu, తెలుగు, పుస్తకాలు, సాహిత్యం and tagged ebook, kinige, అనామకుడు, రమణీయం, రామశాస్త్రి on March 2, 2006 by anilatluri.